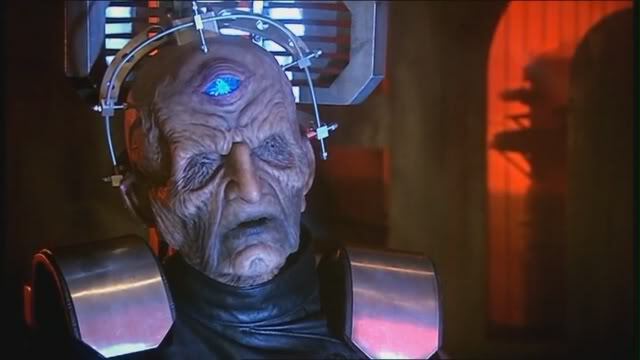 It seems like almost every episode of Doctor Who has the Doctor saving the whole of reality from some threat or another, but on at least two occasions the threat is deliberately leveled by enemies who are aware of what they’re doing. In “The Journey’s End” and “The End of Time, Part 2,” the Daleks and the Time Lords, respectively, try to put the kibosh on the whole thing. In both cases, it seems the Doctor’s enemies have gone insane. Stories change the way people view the world. Stories are emotional– they don’t tell us facts so much as they tell us the value of these facts, tell us how we ought to feel about them, tell us where we stand in relation to them. Stories don’t give information, they assume it. Stories take place in a certain kind of world, and so implicitly affirm the truth of that kind of world. If a story were to end, say, happily ever after, then we would assume that this is the way the world works.